Description: The Polish Traverse as seen from camp II. 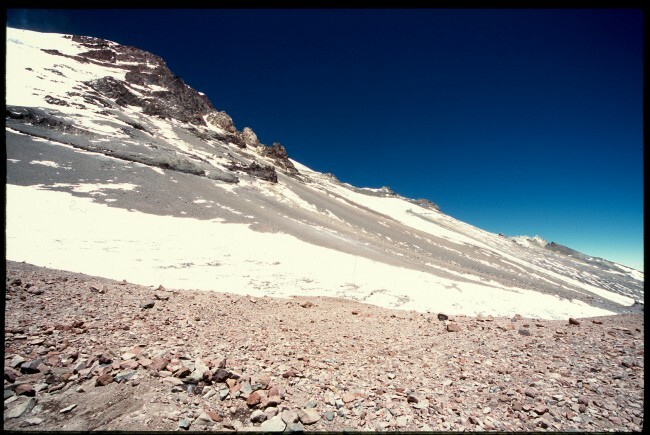 You can just see the thin almost horizontal line below the rocks, this is the Polish traverse route from Camp II on the vacas valley side traversing to 6200m on the normal route. In the right corner you can see White Rocks, it is also possible to traverse to that point and join the normal route there.